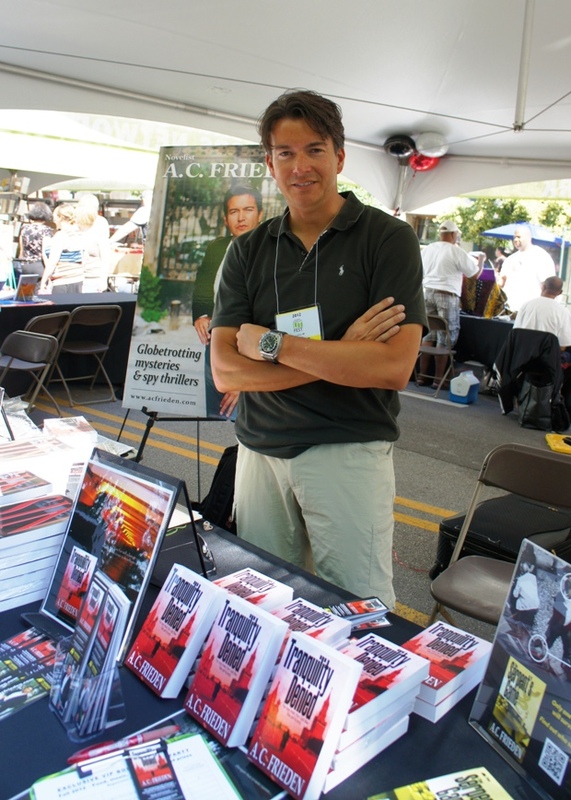 Thriller author A.C. Frieden at the Avendia Publishing exhibitor tent at Printers Row Lit Fest 2012. 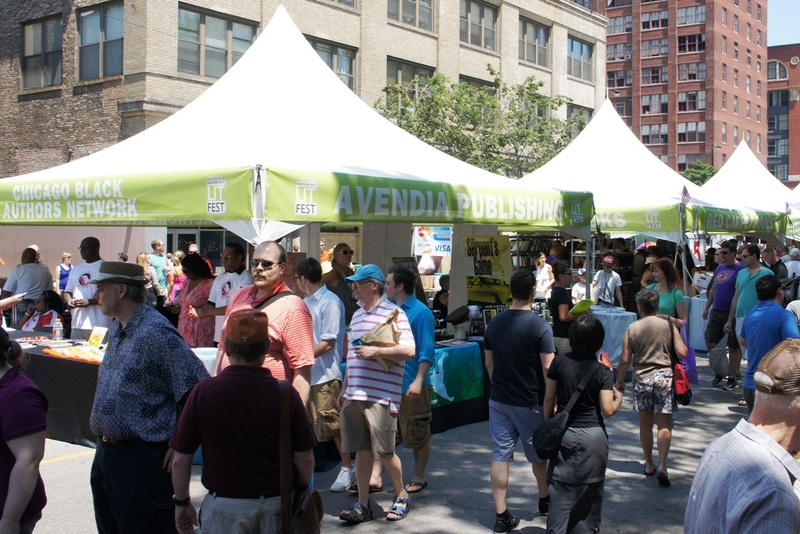 The Avendia Publishing exhibitor tent at Printers Row Lit Fest 2012 was well located on Polk Street. 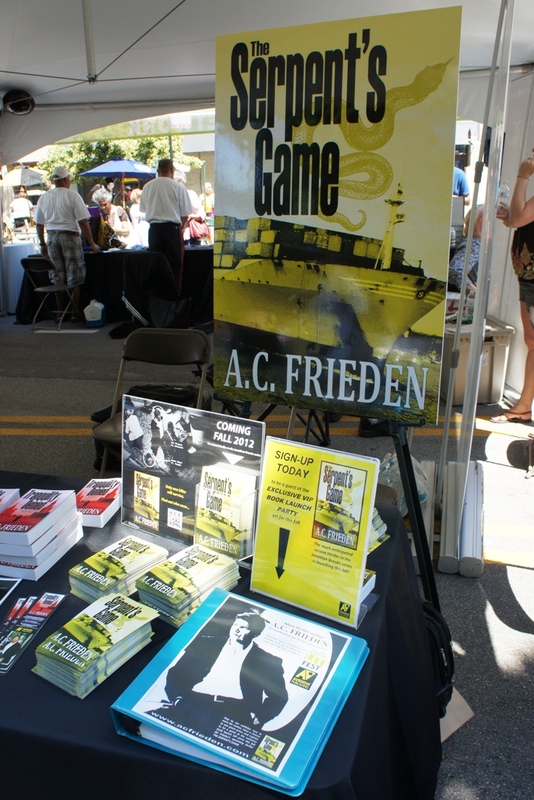 Thriller author A.C. Frieden attended the Chicago Printers Row Lit Fest this past weekend, signing books at the Avendia Publishing exhibitor tent and announcing the upcoming launch of his sequel thriller THE SERPENT’S GAME. Due out in November, THE SERPENT’S GAME is the second intallment in the Jonathan Brooks legal/spy thriller series following TRANQULITY DENIED. 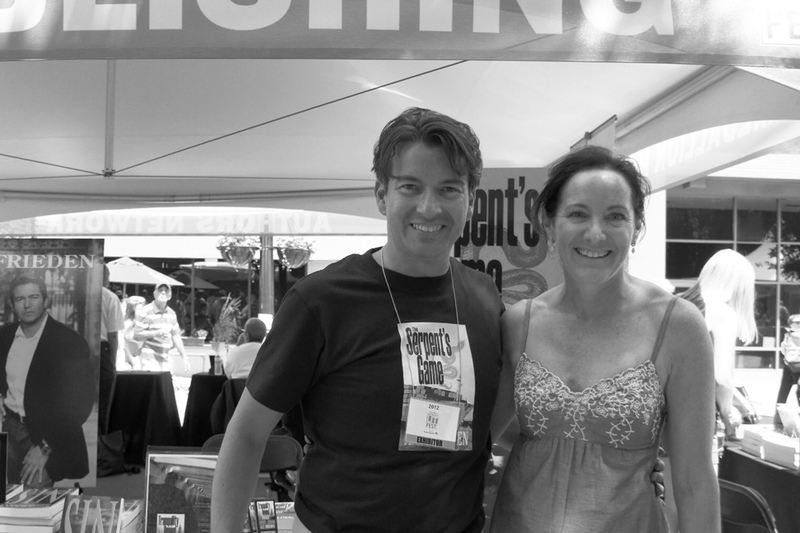 The two-day book fair is one of the largest in the Midwest and is an excellent opportunity for authors to connect with fans, publishers and other authors. The crowds were huge on Saturday, which accounted for higher than expected sales of Frieden’s latest novel TRANQUILITY DENIED, as well as his other books.